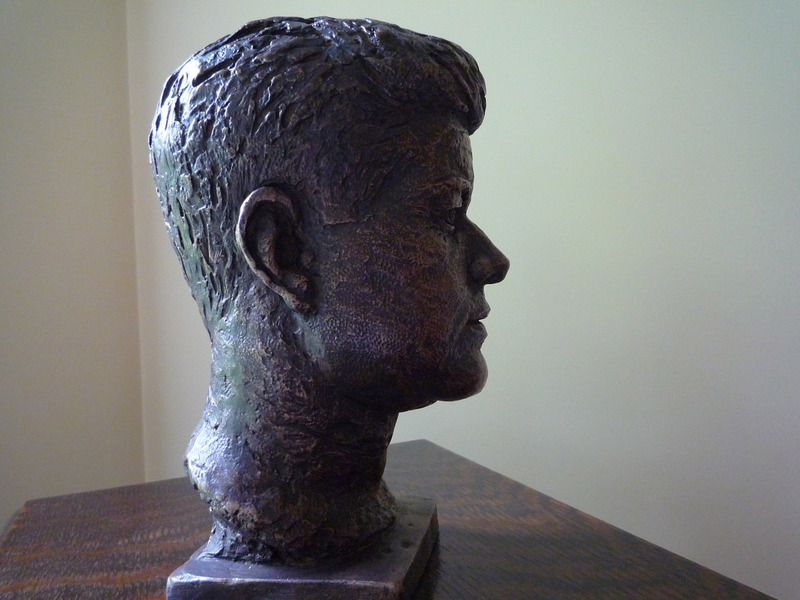 A very nice plaster of JFK, with little to no flaws or missing plaster. Definitely a very life-like representation, with well sculpted features. It has a very nice finish and I’ve looked over the surface and have found no white plaster showing through. The bottom has a felt pad and a little wear to the finish. A great size bust for a bookshelf or a desktop. 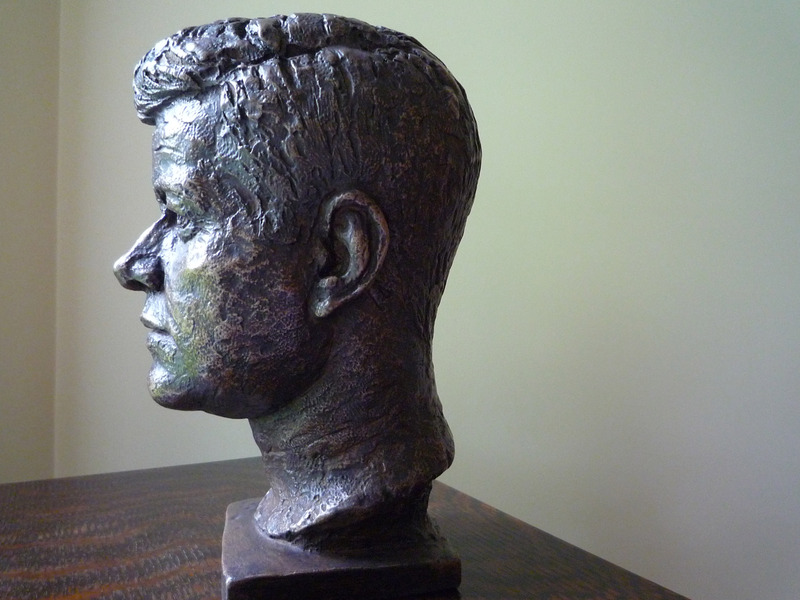 Click for recently listed identical Kennedy bust.